CLOSEOUTS. 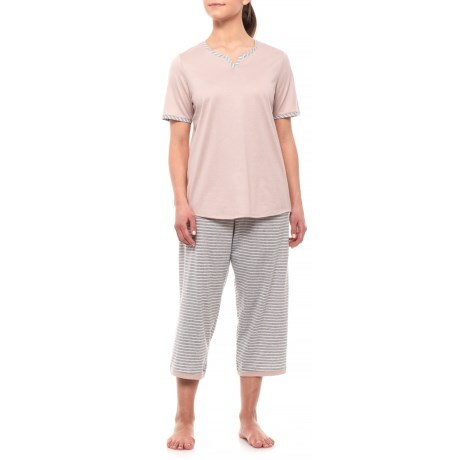 Cuddle up in Calidaand#39;s cotton single jersey stripe crop pajamas, crafted from premium cotton in a supersoft jersey knit for a fit and feel thatand#39;s soft, comfy and breathable. Available Colors: ROSEWOOD. Sizes: XS, S, M.